Saint Francis Medical Center’s Level III Emergency and Trauma Center is now offering specialized care for its youngest patients and seniors throughout the region. These enhancements are even more examples of how Saint Francis is leading the way in emergency medicine. The designated children’s area features special exam areas and equipment to treat children of all ages. The walls in this space have been painted in a bright and cheerful theme. 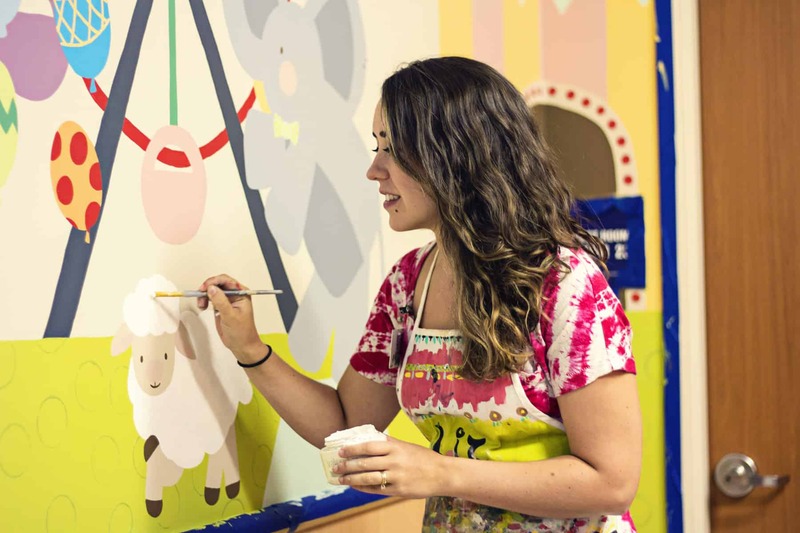 Louisville, Ky., based artist Liz Richter designed and painted five murals, each depicting a different scene to distract children and give them something fun to look at during what can be a very stressful experience. 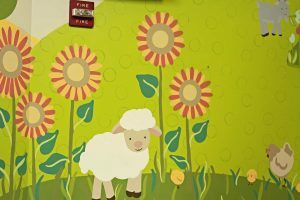 The kid-friendly atmosphere allows for a calming, private environment for both children and their parents or caregivers, easing the stress and anxiety of an emergency room visit. Eighteen percent of patients in Saint Francis’ emergency department are children. Saint Francis has also made senior-friendly modifications to address the region’s aging population. The modified space offers thicker mattresses, higher chairs, large-print forms, guardrails and nonskid flooring, allowing seniors to be more comfortable and return to the highest quality of life as quickly as possible. Special family lounges are also available for family members of Emergency and Trauma Center patient. Saint Francis’ Emergency and Trauma Center is the region’s only state-designated Level III Trauma Center, and has the largest emergency team in the area, with 14 hospital-based emergency services physicians. To learn more about the Emergency and Trauma Center and Saint Francis’ emergency services, call 573-331-3996. Saint Francis Medical Center’s Level III Emergency and Trauma Center is now offering specialized care for its youngest patients and seniors throughout the region. The designated children’s area features special exam areas and equipment to treat children of all ages. 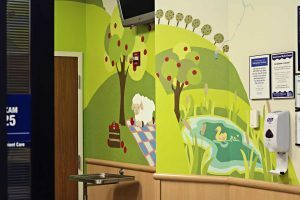 Louisville, Ky., based artist Liz Richter designed and painted five murals in the children’s area of the Emergency and Trauma Center. The lamb, which can be found in each scene, was chosen based on the traditional depictions of St. Francis of Assisi holding a lamb. 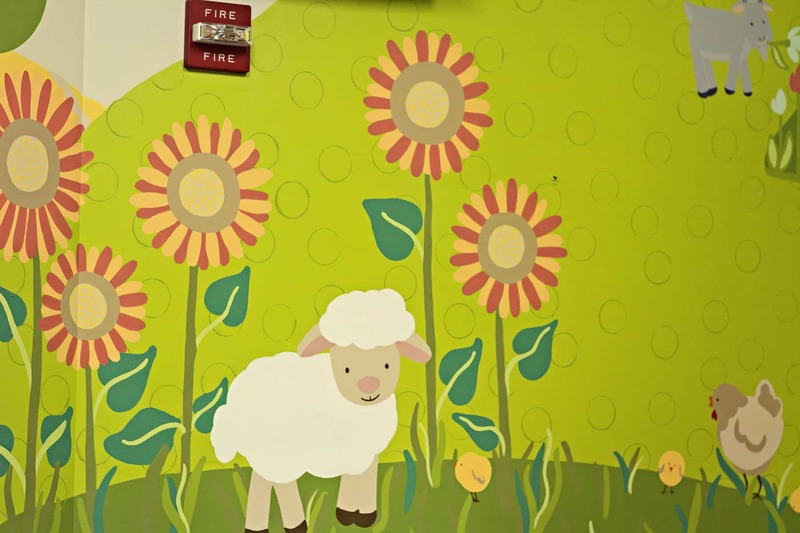 The kid-friendly atmosphere allows for a calming, private environment for both children and their parents or caregivers, easing the stress and anxiety of an emergency room visit.